There seems to be a Facebook hoax doing the rounds. 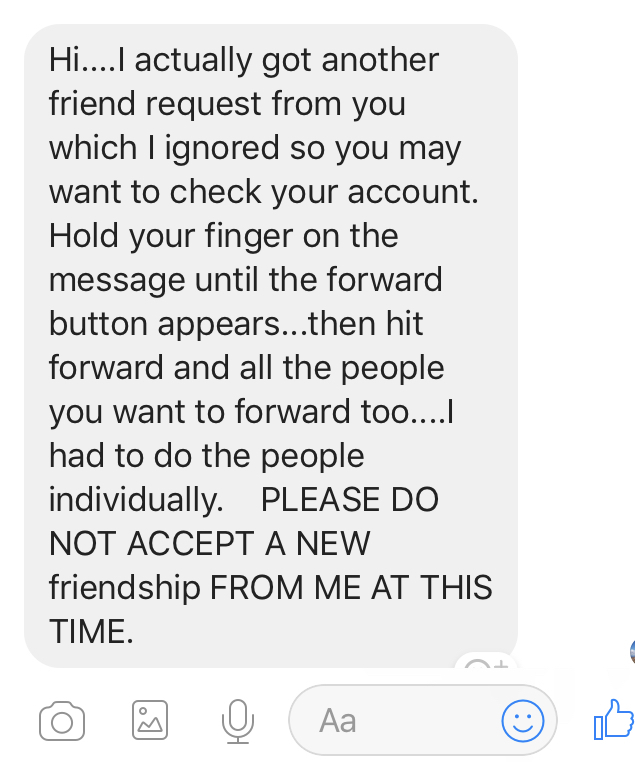 People are receiving messages from the their friends and Facebook connections suggesting that their account has been cloned. Whilst profile cloning can happen Facebook have confirmed there is no cloning ‘epidemic’ that is suggested by the flurry of messages, and this is not connected to the Facebook security breach. If you are concerned that your profile has been cloned enter your own name into the search bar, in the unlikely event you do come across a cloned version of your profile contact Facebook.